Cool New Composition Lessons App for the iPad & More! 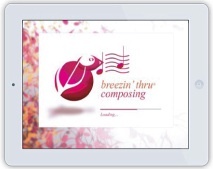 Bring the thrill of making music to your students with NEW Breezin’ Thru Composing. Use on any device: iPads/tablets, computers, smart phones. Fun interactive lessons, musical models & videos get students listening/analyzing as they prepare to compose music using notation or sequencing tools. Each chapter includes a compositional concept, a theory link, historical or cultural points & a written reflection to address important common core standards. Grades 5-12, access online at home or school. Auto-Assessed Music Theory Online: Easy to Use, Fun to Do! 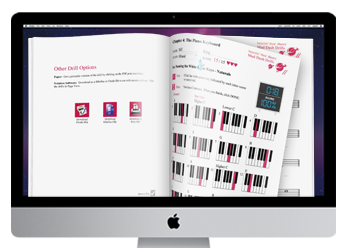 Breezin’ Thru Theory offers an effective and fun solution for teaching music theory. The new Auto Assessment Student Tracker gets measurable & shareable results instantly saving hours of class & marking time. Hear about the phenomenal results teachers get and the student engagement as they race against themselves and the clock building mastery with fun 2-minute drills. Aligned to National Standards, perfect for grades 5-12 and AP prep, its online access makes it easy to do at home or school. 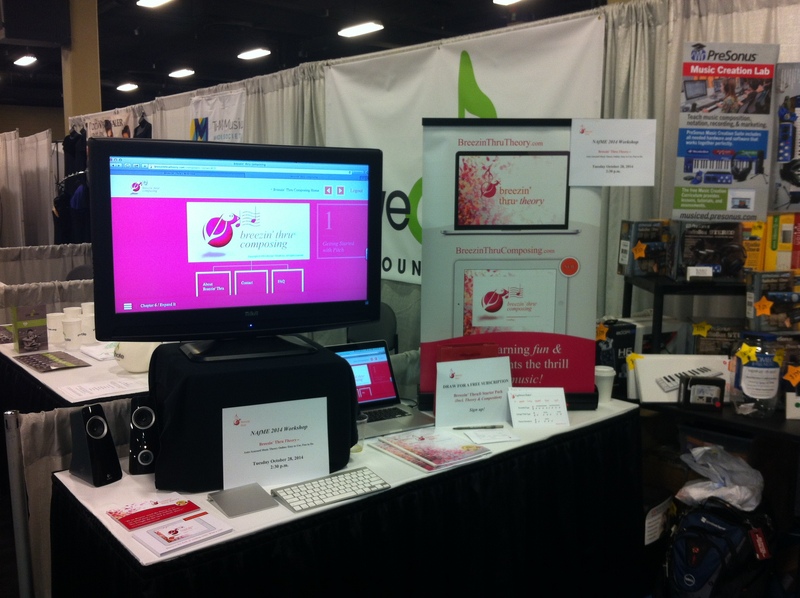 Drop by our Booth #207 and try out the cool tools!